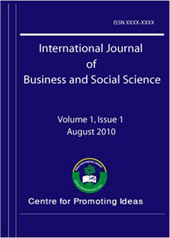 The study examined the relationship between self-leadership and the three dimensions i.e. emotional exhaustion, depersonalization and personal accomplishment of burnout in a manufacturing plant located in the Pacific Northwest. Based on a sample of 166 employees, the results indicated that employees who experienced low levels of self- leadership had higher levels of emotional exhaustion, whereas employees who experienced higher levels of self-leadership had lower levels of emotional exhaustion. No significant relationships were found with the other two dimensions of burnout.